Good food served simply. Salmon, beef or game and Scottish dishes to delight you. 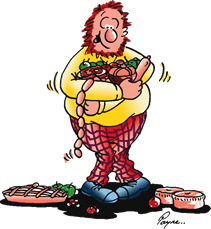 Taste our award-winning haggis (that famous beastie of the hills), hearty casseroles, generous fresh salads and delicious steaks which we char-grill for the best flavour. We also regularly have fresh west-coast seafood specials, interesting seasonal dishes and daily vegetarian options. We feel that we have something for everyone here at Fiddler's and this choice coupled with our genuinely friendly service makes us "the" place to eat whether you're on a day trip to Loch Ness, staying in Drumnadrochit or even lucky enough to live in this beautiful part of Scotland.